In a pair of meetings this week, the Council discussed issues and possible amendments related to the Mayor’s proposal for renewing the Seattle Library Levy. Here’s my previous post digging into the details of the Mayor’s proposal. Funding educational programming for children and youth. Council member Gonzalez has proposed adding to the levy funding for educational programming for children ages birth to 3, and for the Student Success Program targeted at school-age children. Currently the programs are funded by the Seattle Public Library Foundation; Gonzalez argued that replacing that with levy funding would create a more stable, reliable source. Together they would add just over $4.2 million to the levy over its seven years, which would equate to $1.70 per year in property taxes for the median Seattle household. Extending library hours of operation systemwide. The Mayor’s proposal already added 96 hours per week, restoring the library system to pre-recession levels: one more Sunday hour at all branches, opening four branches on Fridays, and more morning and afternoon hours at three additional branches. Council member O’Brien proposed adding one more evening hour Monday through Thursday systemwide, keeping the branches open until 9pm. A key motivation for his amendment is to allow community meeting spaces in libraries to be available later in the evening: meeting spaces are only available up until half an hour before closing time, which currently means that any after-work community group meetings must wrap up by 7:30. Adding these hours would cost $6.2 million over seven years, or $2.47 per year for a median household. The $6.2 million includes $3.84 million for the Central Library, $1.9 million for the branch libraries, and $572,000 for additional custodial personnel. O’Brien will probably break up his amendment in two: one for the Central Library, and one for the other branches. A feasibility study for co-locating child care space at libraries. Council member Mosqueda, who offered this amendment, original planned to propose a capital investment to build out childcare space, but she said that after consulting her colleagues she opted for a feasibility study instead. The cost of the study is still being investigated. Adding additional security officers. Currently the library system has 19 security officers; four are funded through the existing levy, and fifteen are paid for with General Fund dollars. Under the Mayor’s levy renewal proposal, the total would stay at 19, but six would be funded by the levy. Mosqueda proposed that levy funding increase to eight positions, for a total of 21. The additional officers would help deal with the libraries’ role as de facto day shelters for many of the city’s homeless. The two positions would cost $1.26 million over seven years, or 51 cents per year for a median household. Expanding the current community resource specialist program. The city currently contracts with DESC for a Community Resource Specialist program, which connects (mostly homeless) people to services and resources to help them. The program funds a social worker and a case manager, who hold drop-in hours at the Central Library four times per week at the Central Library and one day per week at the Rainier Beach, Ballard, and Capitol Hill branches. Mosqueda proposed adding three additional case managers and one youth-focused social worker. It would cost slightly over $2.1 million over seven years, or 86 cents per year for a median household. Elimination of overdue fines. The Mayor’s proposal eliminates fines for overdue books. 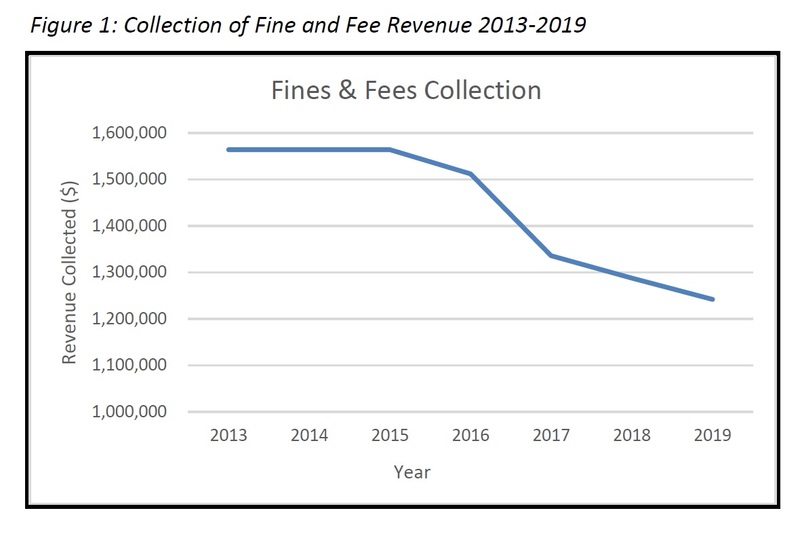 According to research cited in the proposal, fines are not correlated with timely return of materials, largely because the shame of having to show up and pay the fine is a strong deterrent from doing so; instead, people allow the fines to accumulate and eventually to have their library cards deactivated. The studies show that this has a disproportionate impact on lower-income and disenfranchised communities, those in greatest need of the libraries’ services. In addition, the Seattle Library is seeing a steady decrease in revenues from fines because of the transition from print to electronic materials (e-books automatically expire and are never overdue, so they generate no fines). The policy would apply only to fines, and not to fees for replacing books that are lost or otherwise not returned after 90 days. Nevertheless, it would be a reduction of $8 million in revenues over seven years. Council President Harrell expressed concern over the proposal, noting that he has no problem with waiving fines for those who are unable to pay for economic reasons, but doesn’t want to forego the revenues from those who can. The rising cost of e-materials. 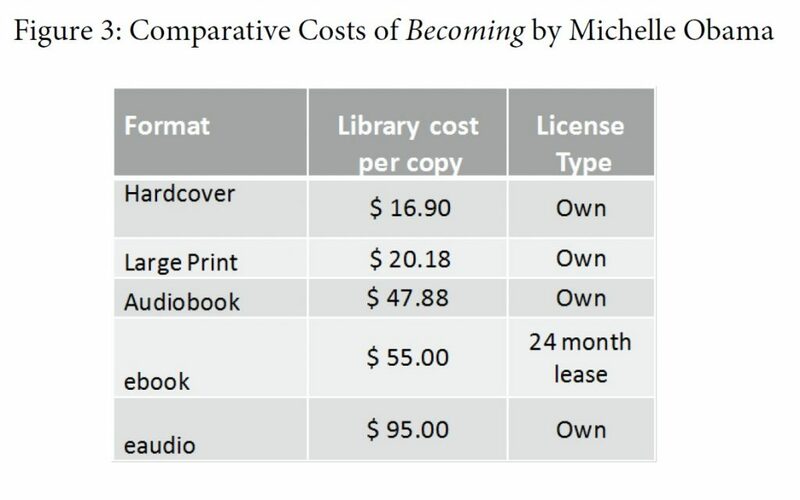 Libraries pay more for electronic formats of books than they do for traditional print versions. Publishers build into the economic models an expectation that libraries’ copies of print materials will eventually wear out or get lost, and need to be replaced. Electronic copies last forever, and so they charge more for them. As library patrons have shifted their preference toward more electronic materials, the costs for the Library to purchase materials has grown appreciably. It has supplemented its e-materials budget by approximately $500,000 annually through a combination of private donations and shifting funds from other budget items. The Mayor’s levy proposal would invest $5 million in e-materials, but the Library estimates that it would only cover the most critical acquisitions and wouldn’t significantly expand the Library’s collection at a time when the demand continues to grow. Adding air conditioning and/or elevators to some branches. The Columbia City, Green Lake, and University branches are all undergoing seismic retrofits. Adding air conditioning would cost $500,000 per branch; adding elevators to Green Lake and University would cost $500,000 each, and adding an elevator to Columbia would cost $100,000. Putting a library branch in the Denny Substation community meeting space. The new Denny Substation in South Lake Union includes community meeting space, some of which could be used for a “nontraditional” library branch. As a Council memo describes, “The Library has indicated that some of this space could be used as non-traditional library space, potentially to provide programming, as a pickup location for materials placed on hold, a location for small selection of “Peak Picks” and other collections, laptop/desktop availability with Wi-Fi access, or as an innovative space.” Doing so could cost up to $6.1 million. There was little enthusiasm for this proposal among the Council members. Across all of these discussions there were two recurring issues that the Council members continue to wrestle with. First is the issue of funding sources. Currently 25% of the Library’s funding comes from the Library Levy, which was approved by voters to restore funding lost due to Recession-era budget cutbacks. Real Estate Excise Tax (REET), which is known to fluctuate from year to year, is a minimal source of funding for libraries, though it was relied on in 2016 for some critical needs in the Central Library building. As mentioned earlier, the Seattle Library Foundation funds some educational programming, and the city’s General Fund is the source for the lion’s share of the Library budget. To the extent that the Library needs stable, reliable funding, it raises questions about which sources should be relied upon — and whether funding sources should be swapped accordingly. Gonzalez’s proposal to fund educational programming through the levy is an interesting statement on the perceived stability of Library Foundation funding. Some proposals make more sense, such as O’Brien’s to extend hours of operation, since that has been a part of the levy from the beginning; it’s a question of how many more hours to add, not whether the levy is a good source of funding for extending hours. Mosqueda’s proposals to fund a feasibility study for child-care facilities, additional security, and additional resource specialists are more eyebrow-raising, and several of her colleagues questioned whether they were more appropriately made part of the general budget discussions in the fall. The amendment that seemed to gather the most support was O’Brien’s to extend library hours of operation — but even then he offered to break it up into smaller parts so the Council members could vote “a la carte.” At this point it’s unclear whether any of the other proposed amendments will make it into the final levy. The committee meets next Wednesday, April 17th, to vote on amendments and most likely to vote the levy proposal out of committee. It must be ratified by the Council the first week of May in order to appear on the August 6th ballot. What services should a library provide? Should all services be available to all or should there be some restrictions or fee based availability? (example is the high cost of ebooks….should there be a additional fee? Should libraries be a place of refuge?